The Volunteer bond program was introduced in the 2017/2018 season and is a common policy used in many other minor hockey centers to encourage Volunteer participation. GVDMH is run completely by volunteers. Many of our members are unaware of just how much volunteer work and fundraising is necessary to operate a quality hockey program. Although not everyone has the hockey experience or skills to assist as an on-ice volunteer, there are many other roles that contribute greatly to the success of our association. Examples of these opportunities include fundraising initiatives such as our Halloween dance, Hockey Day in Grand Valley, Bottle Drives, Tournaments and helping with other community functions and events that GVDMH is involved in throughout the year. The volunteer bond program has been introduced to encourage our association members to step forward and get involved, it will help to spread out the volunteer duties equally among the members in the association. As they say, many hands make light work! 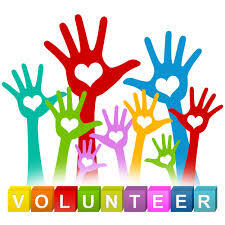 The Volunteer Bond Submission form is used when you have collected all of the required hours for your volunteer bond. Please use the forms below to submit your hours and complete your bond thus receiving your bond cheque back. With any policy there will be questions. Please see the attached Frequently Asked Questions to help address any concerns or questions you may have. Of course, if you still have questions after reading through the FAQ, please feel free to contact the Bond Director or any member of the Executive for assistance.